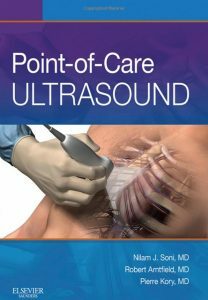 Dr. Hames has recorded a second chapter for the FAST component of our Point of Care Ultrasound Series. This screencast spends more time on identifying potential errors leading to false negative and false positive studies. FOR THE TRAINEE Review this prior to your basic portfolio (aka "IP") training sessions. FOR THE TRAINER For basic portfolio (aka "IP") trainers this document will be your review material prior to a bedside training session. Subscribe to our Case of the Week email! Canadian Resuscitative Ultrasound Course: Sign up now for the 2018 course! If Congress wants to #ProtectTheVA, we shouldn’t starve it + then sell it off for parts, forcing vets into for-profit emergency rooms + to providers who aren’t used to working w/their unique medical needs. Detox may work for EtOH. Detox may work for benzos. Detox does not work for opioids. We don't treat all cancer the same way, we shouldn't try to treat all substance abuse the same way. Western Sono is devoted to the development and support of point of care ultrasound within The University of Western Ontario’s medical programs and in the care of patients in London Health Sciences Centre hospitals. You will find information relating to education, research and training requirements as well as general information regarding point of care ultrasound.